2019 has arrived and it is time for another blog post! I would like to say that the VR tools that I’ve been using has definitely improved in its functionality in the recent months. Compared to a year ago, the diorama style sculpts I put out are a lot more complex (for better or for worse). There is still potential for UI/UX improvements in the VR tools realm, but what i’m really hoping for in 2019 are improved tracking (without the need for external sensors) and increased pixel resolution in the lenses. 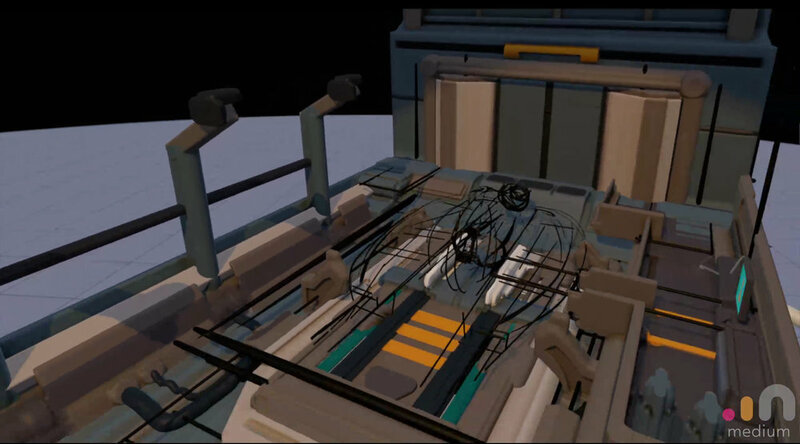 For those people who are curious about how I work in VR, I have attached some process screenshots here, and hopefully it helps clear up any questions that you may have had. 1. 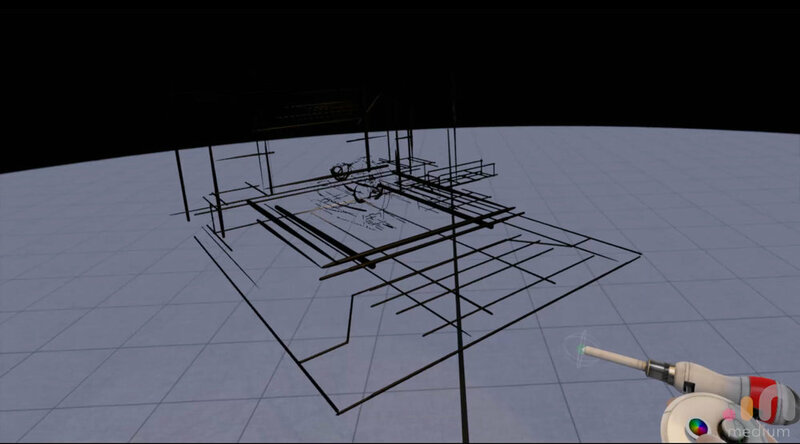 A ‘lineart’ type sketch which acts as a ‘cage’, to view the proportions and make changes from the 2D sketch if any. 3. Repeat step 2 until the model is done! Make micro surface details by using the subtract function of the tool. I have attached some screenshots and I hope they help! Retrospective on 2017’s second half. 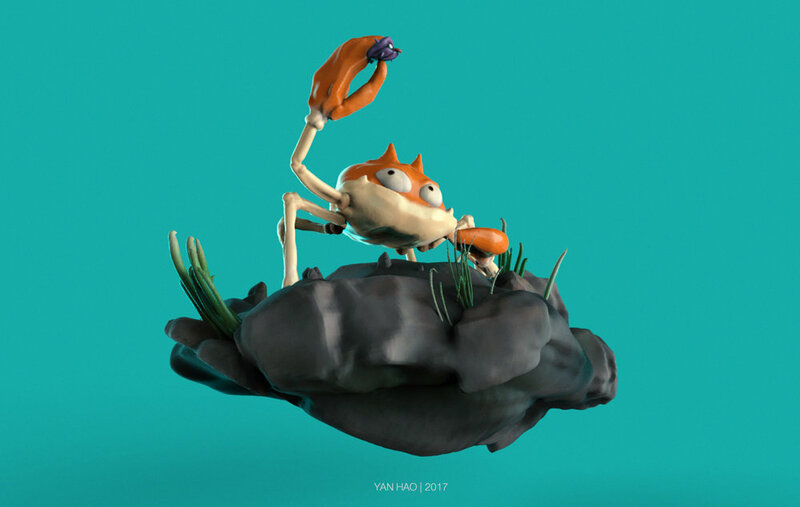 It’s been around 5 months since I started using Oculus Medium to create 3D sculpts and here are my thoughts on the process. Coming from a drawing background, it just feels surreal to be drawing directly in 3D space. The ability to use your arm’s motion range (while standing) definitely leads to more naturalistic gestures. That was something I could not get to gripe with while using Zbrush previously. On the 3D software end, I have started using more Blender (modeling and lighting) and Marmoset toolbag (mostly lighting) due to the low cost price. (Actually free for blender.) Blender’s GPU rendering function is something that I expect to be using more of in 2018, real time previews while adjusting render settings simply can’t be beat! 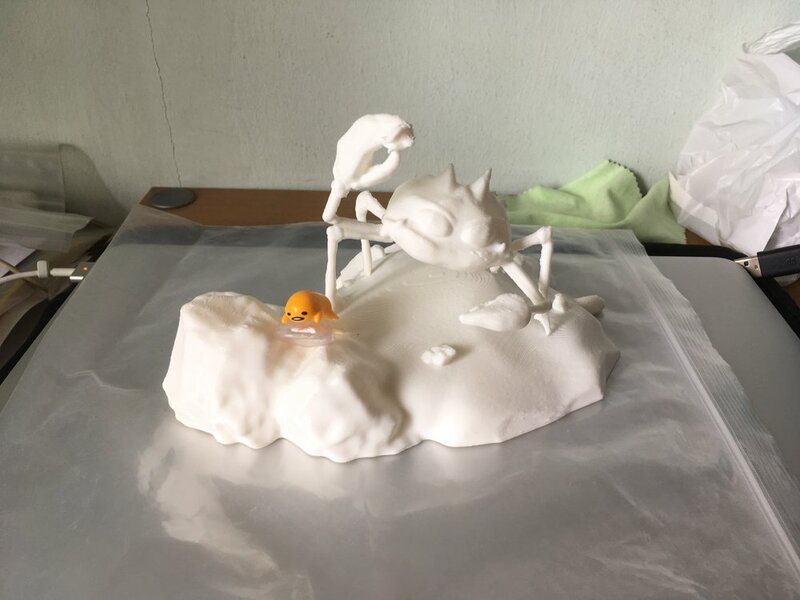 Combining the various softwares mentioned above has been seamless so far, and I also got Funbie studios to help print out my Krabby sculpt. There is a definitely a learning curve to be creating my own sculpt and printing it, will be planning on where the joints can be seperated, grouped together can printed seperately to cut down on the plastic supports needed which reduces print time.